Lemon poppy seed bread is my favorite lemon treat for Easter! Vegetarian. 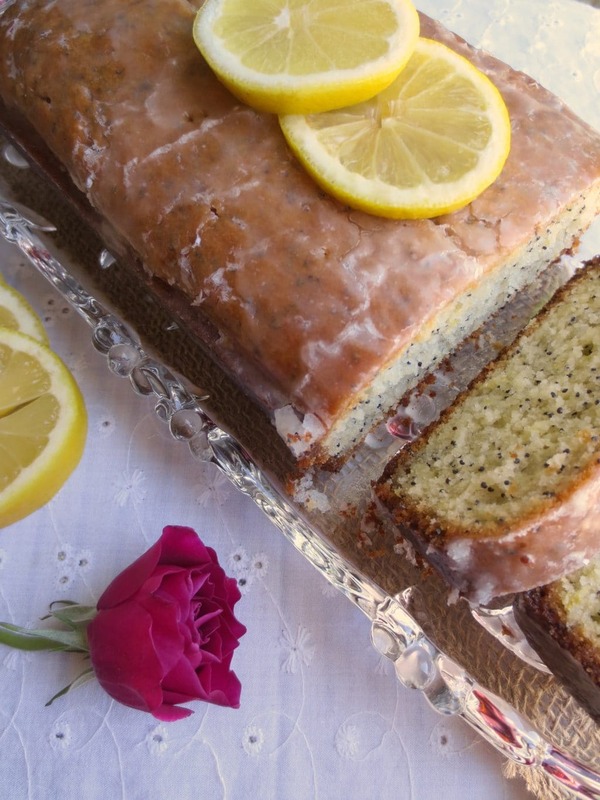 Lemon poppy seed bread is the perfect treat for Easter. I’m bringing this loaf to my mom’s Easter brunch tomorrow! The best part is, you can whip this loaf up in just under two hours. Lemon is one of my favorite flavors, so I put extra lemon juice in my loaf. I also made it extra healthy by swapping out the usual vegetable or canola oil for coconut oil and greek yogurt! It’s light and delicate with a strong lemon flavor and sweet lemon glaze. Lemon is one of my favorite flavors, so I put extra lemon juice in my loaf. I also made it extra healthy by swapping out the usual vegetable or canola oil for coconut oil and greek yogurt! 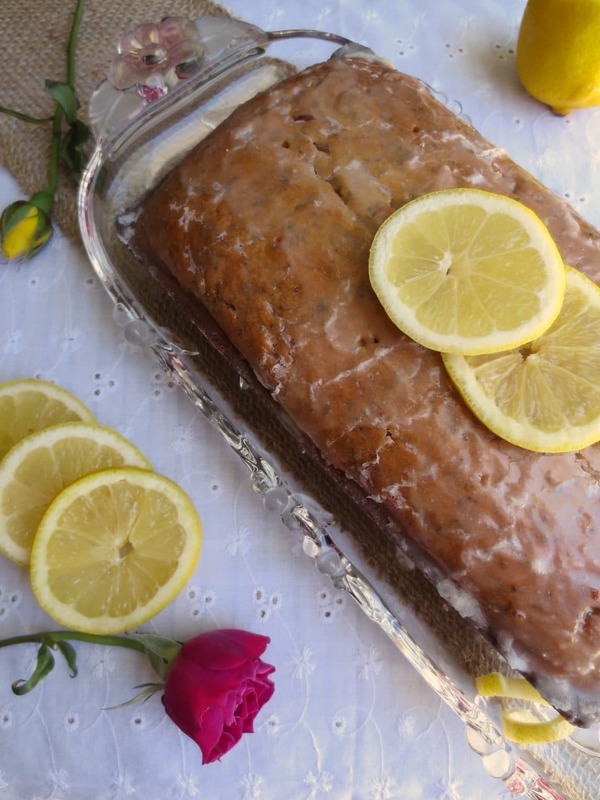 It’s light and delicate with a strong lemon flavor and sweet lemon glaze. Preheat the oven to 350 degrees and grease a loaf pan. Combine softened butter and sugar in a mixer until smooth. Add eggs, coconut oil, greek yogurt, lemon juice, lemon zest. Mix well. In a separate bowl, combine flour, baking powder, salt, and poppy seeds. Slowly add the dry to the wet bowl while the mixer is stirring. Pour the mixture into the greased loaf pan. Bake for 60 minutes. While the loaf is baking, make the glaze. Combine powdered sugar with lemon juice and a pinch of salt. Taste. Check the bread with a toothpick to make sure it's done and remove it from the oven. Poke holes all over the loaf. While it's still hot, pour half the glaze over the top. Let cool for 15 minutes, this will give the glaze time to harden. Put the loaf on a wire rack to cool. Pour the rest of the glaze over the top. Let it cool completely before you slice it.